People everywhere have one thing in common – we all share the same feelings. No matter what we look like, what thoughts or beliefs we hold, we all have similar experiences. We are born and we play, struggle, create, suffer losses and learn to love again. We rejoice, experience longing, feel anger and sorrow, we reconcile and in the end we all stand in awe or terror when confronted with our own mortality. In sharing these common experiences we recognize each other. This is where we can meet each other and share our emotions until our individual differences are dissolved. When we communicate at the heart level, in our collective heart – The Earthheart – we realize that everything is interconnected and how all our differences are equally important parts of the whole. We understand that life within and life without are two sides of the same coin, and that every living thing is of equal value. In experiencing this we enable ourselves to live with reverence and respect for ourselves and for all living beings. This approach is the starting point for all the performances and classes at Earthheart. Earthheart creates performances that capture the audience, instilling in them a deeper understanding of the interconnectedness of all living beings. The classes at Earthheart aim to strengthen each individual’s unique artistic expression and define him or her as a natural part of a whole. 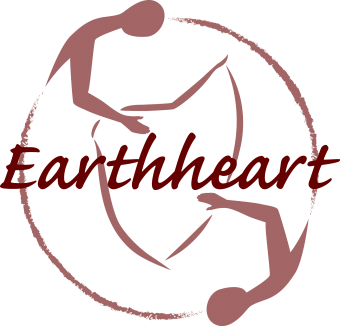 The Earthheart concept was founded by Åsa Rockberg, read more at Earthheart Dance.